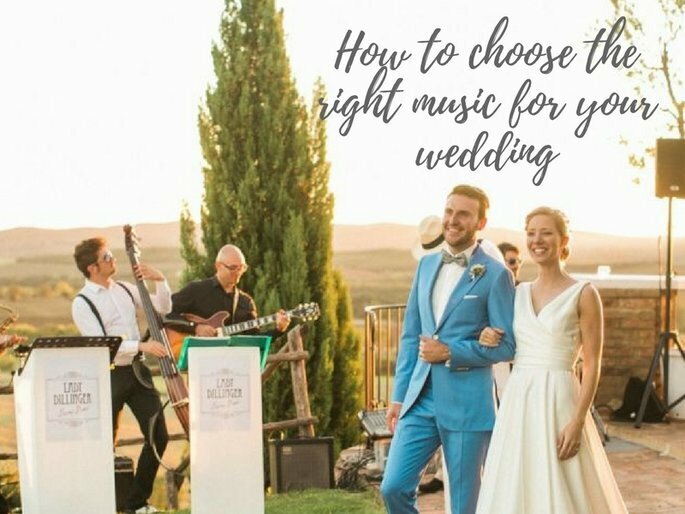 Music can be crucial on your wedding day, so make sure you check out Zankyou's top tips on how to make sure your tunes are all good! Music is one of the key elements of any wedding. Its importance should not be underestimated, as it can be a vital accompaniment to the feelings provoked by the day, and can awaken emotions. 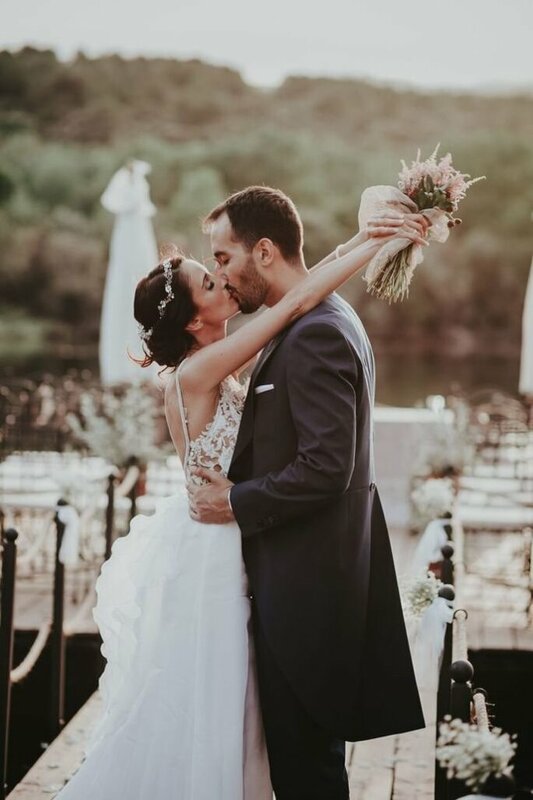 With the wedding day in mind, you should gather a selection of music in accordance with your tastes and theme that gets the balance right, which will play an important role in people’s memory of the day. Once more, remember that your wedding belongs to you. You are the stars of the event, and nobody can override your wishes, even with regard to music. Because, regardless of the commercial tunes that are so successful, every person has a different style. Music is very personal! However, you should bear in mind the people who are attending your wedding. Considering that music is a permanent part in any such celebration, it should complement the reception, without becoming too extravagant or too boring. Although you should choose music to your own taste, bear in mind that your guests should enjoy themselves too. Your wedding is yours, and you should play what you like, but it is also an idea to consider everyone else. Resultantly, you should avoid radical genres, and aim for a balance, although you should always fit it around your personal wants. The music you select can depend a lot on the type of ceremony. In religious weddings, traditional songs that have had occupied spiritual spaces for decades are commonly played, generally alongside a choir, or a full band. In their repertoire, there are often forms of well-known, or more obscure, classical music, but also acoustic versions of the songs which, under the control of the either the Church or the couple, liven up different moments of the ceremony without being shrill, including when the bride walks down the aisle, between readings, after the exchange of vows and rings, after communion, and during the departure of guests from the church. You should look into what services the church offers, as you may not need to hire a group. In civil ceremonies, the music is less limited, and appears in various forms. Hiring a band, specialising in one particular musical genre or not, is the option that we most recommend. 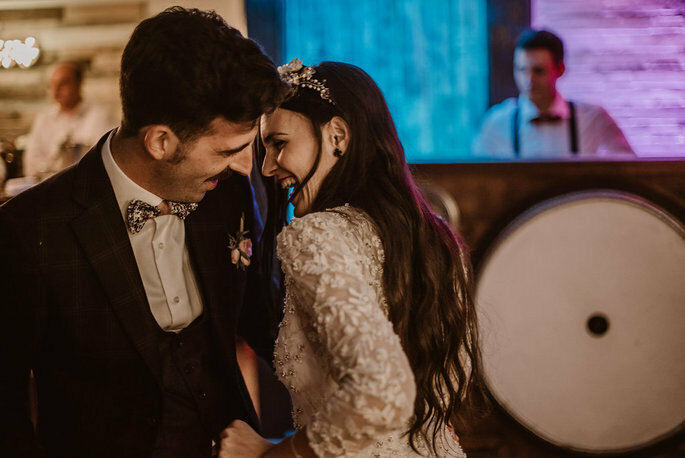 These bands often reinterpret the couple’s favourite songs, many of which they have chosen solely for the occasion, and the band imbues them with a special spark, generally appropriate for an event which is expected to be emotional and formal. In this instance, the voice is one of the most important “instruments, and there is a lot of variety in the rest of the instruments, which may be percussive or wind (in a formal setting), and many with a specific purpose, which produce the sounds of Celt music, jazz, the blues, or rock. The Zankyou directory is full of specialist vendors for this kind of celebration, although you can always go to musicians and bands that you know personally. Throughout the evening do, which often lasts for several hours, it is a good idea for the music to become less prominent towards the end, but not so much that it disappears completely. It should always be there and create an atmosphere during the most important moments of the night, like the intervals. During the appetisers, we recommend the use of background music, whether this emanates directly from the band, or from tracks that play throughout. It should also be present during the main part of the meal, but not in a way that disrupts the guests, and simply adds a bit of colour to the dinner. During the special moments, like the presentation of gifts from the guests, or the partition of the cake, the music should lessen in volume, independently from where such an event is taking place. in the case of having a live band, they can liven up different moments, and the guests. To ensure this, have a look at the professionals who you could hire for the entire day. The song choice depends entirely on you. Actually, it is the moment during the wedding where you can have almost complete freedom over the music, where you could go to any genre of music, including the most radical that we discouraged earlier. Do you fancy a tango? A heavy metal song? Few couples turn to generic songs, and often take inspiration from their personal collections so they can feel the union that only music is capable of facilitating. 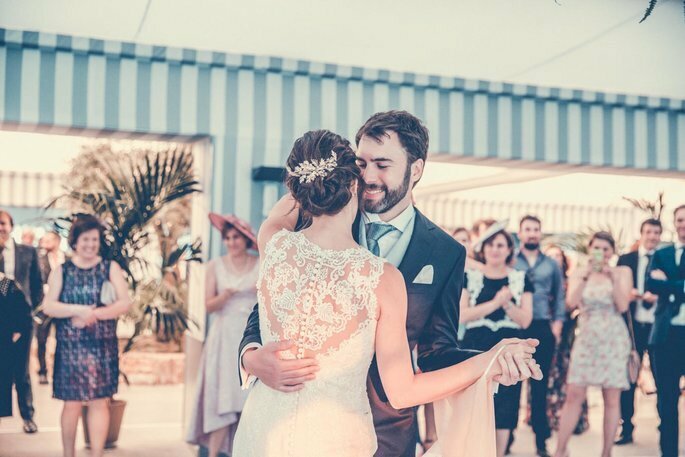 When a song is chosen by the couple, it creates a unique moment of connection during the dance, and the couple tends to feel alone and united together, as if they were the only people in the world. In this way, the dance does not have to be a waltz, but a dance that fits well with the genre of the song chosen. Another option, and one of the most fun, is the performance of a choreographed dance by the dance, or by a group. 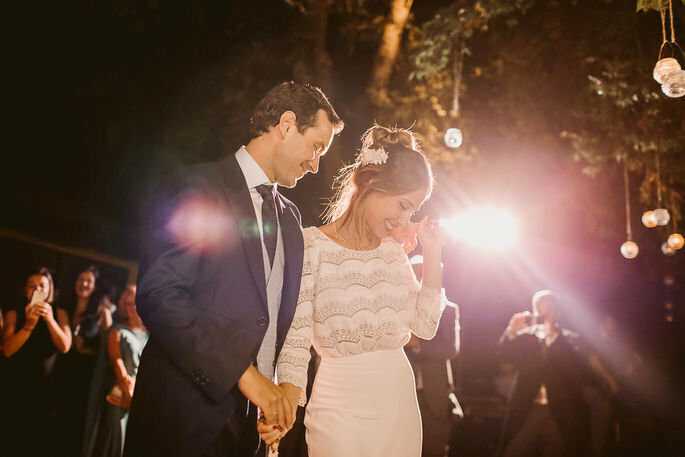 Although nerves can interfere, if you don’t have any experience with dancing it is often worth the effort to add some originality, which the most memorable weddings always provide. The party during the reception is the cherry on top of the wedding. But it is also dangerous if you do not maintain balance, that which keeps most of the guests happy. 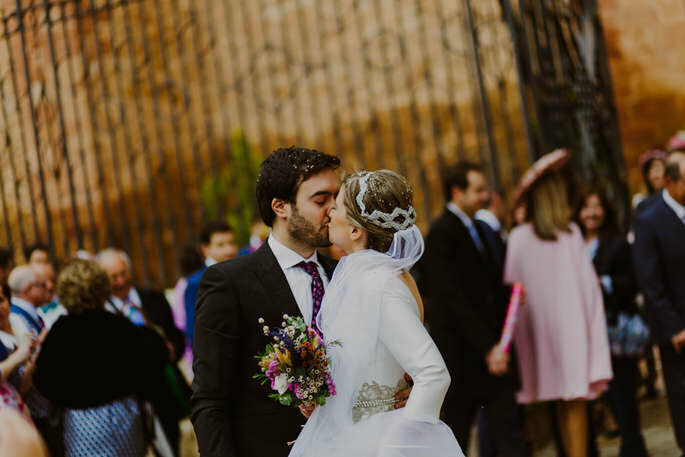 Resultantly, we insist that you do not allow yourself to be completely carried away by your own tastes, as they can clash with the those of the majority, and at a wedding everyone should be at ease. This does not mean that you must confine yourself 100%, but that within this busy environment, you should focus on popular tracks, with small personal interjections. The older attendees will prefer the more melodic songs which allow them to dance without feeling self-conscious, but the rest of the guests need a combination of classic and modern songs, notwithstanding the more radical genres. The dancefloor often gets quite busy, and there you should find similar genres of music that are popular with all. If you want to organise the dancing, start with traditional songs, and then follow these with current national and international pop, R&B from the 2000s and 2010s, music of then and now (you know, the ones from the 80s and 90s that never go out of style), and always a bit of rock at the end, which are usually known by everyone, even those not interested in the genre itself.